Hypertension is a highly prevalent condition which has been established as a risk factor for cardiovascular and cerebrovascular disease. Although the understanding of the relationship between cardiocirculatory dysfunction and brain health has improved significantly over the last several decades, it is still unclear whether hypertension constitutes a potentially treatable risk factor for cognitive decline and dementia. While it is clear that hypertension can affect brain structure and function, recent findings suggest that the associations between blood pressure and brain health are complex and, in many cases, dependent on factors such as age, hypertension chronicity, and antihypertensive medication use. Whereas large epidemiological studies have demonstrated a consistent association between high midlife BP and late-life cognitive decline and incident dementia, associations between late-life blood pressure and cognition have been less consistent. Recent evidence suggests that hypertension may promote alterations in brain structure and function through a process of cerebral vessel remodeling, which can lead to disruptions in cerebral autoregulation, reductions in cerebral perfusion, and limit the brain’s ability to clear potentially harmful proteins such as β-amyloid. 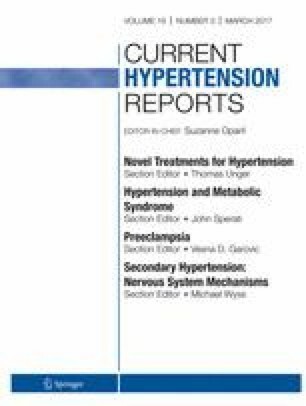 The purpose of the current review is to synthesize recent findings from epidemiological, neuroimaging, physiological, genetic, and translational research to provide an overview of what is currently known about the association between blood pressure and cognitive function across the lifespan. In doing so, the current review also discusses the results of recent randomized controlled trials of antihypertensive therapy to reduce cognitive decline, highlights several methodological limitations, and provides recommendations for future clinical trial design. Keenan A. Walker was supported by the NIA (T32 AG027668). Drs. Walker and Power declare no conflicts of interest relevant to this manuscript. Dr. Gottesman reports personal fees from American Academy of Neurology, outside the submitted work, as an Associate Editor for the journal Neurology.